BOSCH PIEZOELECTRIC injectors are our speciality — unique technology with original components! WTRYSKINOWAK is a group of family companies involved in the diagnostics and repair of injectors manufactured by BOSCH, DENSO, DELPHI, and SIEMENS. The head office is located in Bolesław, close to the E-94 route between Kraków and Katowice. With our close co-operation and exchange of experience, we can guarantee top quality services at compelling prices. Our team uses the knowledge acquired through generations, enriched by the addition of the latest solutions and technologies from the automotive industry. All of our products are covered by a one-year, no mileage-limit guarantee! We also feature competitive discounts for workshops. By co-operating with automotive wholesale companies, we also offer new injectors and replacement parts at competitive prices. Under the Bosch Injection Systems Programme we attend training sessions and receive technical support. We offer our injector and unit injector repair services across Poland and abroad. At our fully equipped workshop, we perform services related to fuel systems, mainly the replacement of injectors, turbines and pumps, as well as timing adjustment. Our specialised team of technicians can guarantee top quality service and professional advice. Because we are a family company, we supervise every stage of the repair, continuously and meticulously, while always remaining available for our customers. Based on our experience with Common Rail systems, we remove and install injectors, eliminate faults, diagnose causes of errors and professionally code, all in a quick and efficient manner. We help in the selection of the optimum components and substitutes at competitive prices. The time we devote to our passion, DIESEL injection systems, translates into extensive experience in the diagnostics of engine operation. We belong to the BOSCH injection systems workshop programme, giving us access to technical information and training, while still operating as an independent company. This gives us the freedom in making our own decisions on the form of repair, the components to select and the repair procedure to use – all of these being made by the customer with our assistance. We have a waiting room with a coffee maker, Wi-Fi Internet, restroom and TV. For customers from more distant locations, we also recommend spending time at the karczma BIDA restaurant adjacent to our service area. We undertake all renovation, repair, cleaning, testing and calibration services at our professionally equipped workshop. We also include proof of meeting the required parameters in the form of a printed BOSCH EPS 205 report, which is handed over to the customer along with our warranty and installation instructions. As a family company, we supervise every stage of the repair processes personally, all to ensure that we maintain our high level of services. The injectors we supply are ready to install, including a new washer and seals, all professionally packed for transport. We use the third Bosch injector repair phase, modern ultrasound washers, measuring instruments with an accuracy of 0.001 mm and specialised software enabling the calibration of injectors in accordance with the manufacturer’s guidelines. We specialise in Bosch piezoelectric injectors, and are proud of our unique repair technology. We only use genuine components for all our repairs. Our many years of experience and extensive knowledge of typical faults and defects found with piezoelectric injectors means we are a market leader. We repair all types of piezoelectric injectors. The only condition for repair is the lack of electric coil damage. The success of an injector repair or renovation is confirmed by a printout of the parameters, which is covered by a 1-year warranty. We specialise in the repair and renovation of BOSCH electromagnetic and piezoelectric unit injectors, and we are the only company in the region to offer the full renovation of Siemens unit injectors. We test and repair unit injectors according to the standards set by their manufacturers (Bosch, Siemens VDO). We conduct pre- and post-renovation testing on a specialised testing table equipped with a CAMBOX attachment. When we receive a unit injector, it is first subject to an overall evaluation and visual inspection. Then we strip it down to its individual components to enable a detailed evaluation to be carried out using digital microscopes. Next it is subject to a spray test along with thermal and chemical cleaning using ultrasound cleaners. This is followed by a check of the injection tip opening pressure, with the unit injector being subject to a computer test on the testing table. Having acquired the required data on the given unit injector, we replace any damaged parts. The unit injector is subject to an electric check at different engine loads, with the parameters being compared to the specification of a new unit from the manufacturer. If acceptable the unit injector is approved. We offer shipment across Europe. To place an order correctly, the injector / injector unit number is required. Tentative price-list. To place an order, please contact us. Contact by email is preferable due to frequent misunderstandings resulting from language barriers. We do not offer cash on delivery for international shipments, only payment upon account. Injector prices are subject to the return of an existing injector with the same numbers or a substitute, without mechanical damage. Otherwise we require a security deposit of PLN 150–250, depending on the injection model and number. The security deposit is reimbursed if the existing injector is returned to our company within a month. If a customer returns an injector purchased from our company, we will return their previous injector, which is stored for up to 14 days. After this period, we will send a random injector. To avoid paying the security deposit, existing injectors can be sent to us in advance. Sending confirmations of the shipment of existing injectors and pre-payment on account will expedite order processing. To view all our current product prices, you can use the ALLEGRO website, where you can also place orders. 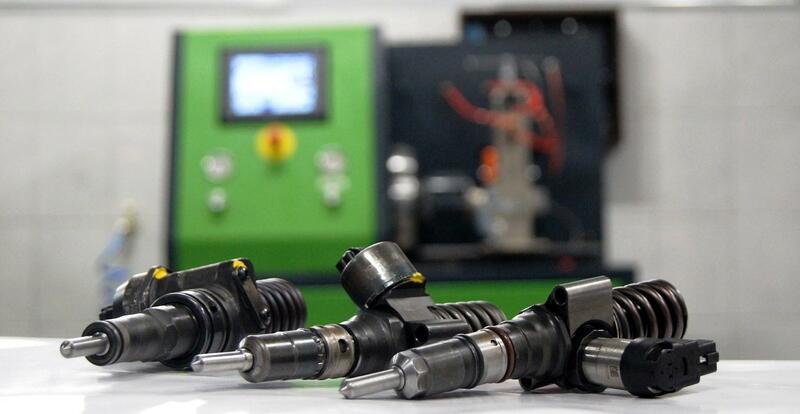 With every injector, we supply a printed report, warranty, installation instructions and an attachment to be completed by the workshop installing the injector in the vehicle. 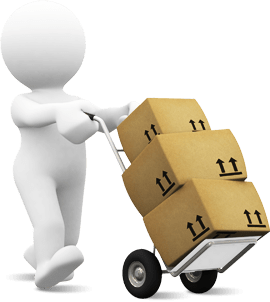 The goods are professionally prepared for transport in company boxes. All products in our range are covered by a 12-month warranty with no mileage limit. Under the consumer rights act, the purchaser has the right of return. Goods should be returned immediately, not later than within 14 days of receipt. The right of return is not available to customers that requested a VAT invoice with a tax identification number (NIP), unless there are grounds for the return. Any complaints regarding the agreement can be submitted by email, in writing to the address of the seller, by telephone or in person. A properly submitted complaint should include at least: the first name and surname, the address, email address or telephone number of the purchaser, the date of the agreement being the basis for the complaint, the subject of the complaint, any request of the purchaser, and any circumstances supporting the complaint. The seller shall review complaints within 14 days of the receipt of the complaint in a proper form. The reply to the complaint shall be sent to the purchaser's e-mail or mail address. At every stage, the seller undertakes to contact the customer and discuss further actions, if necessary. You can find out more about warranties, returns and complaints on the wysyłka (shipment) tab. This also includes downloadable forms. Unclear situations shall be governed by the provisions of consumer law. Our undoubted advantage is the fact that we have more than 300 injectors and unit injectors of different types in stock, ready for immediate use. This ensures we are ready to meet the requirements of our customers and offer renovated injectors immediately, without any delay for the work to be done. If you have any questions or other concerns, please contact us. WE LOOK FORWARD TO SUPPLYING YOUR NEEDS!